This spring, I am seeing the benefits and the beauty of establishing perennial food systems on a small scale in the inner suburbs of Philadelphia. This season, I’ve not been able to spend as much time in the gardens of Elkins Park Front Yard Farm as I have in the past couple of years. Apparently, they don’t need me very much at this point! Aside from the beauty and harmony of the plantings which I find very satisfying; the harvests that they promise are abundant. 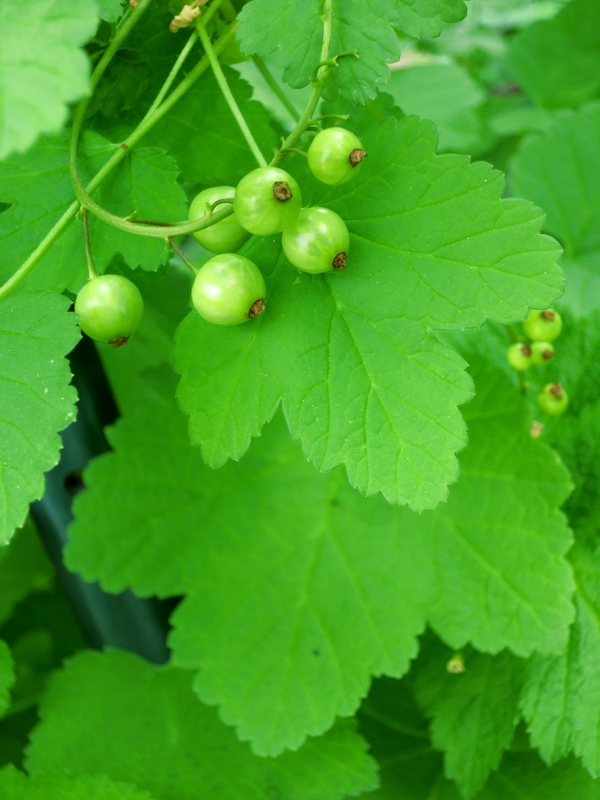 We are going to have a killer gooseberry crop this year from 8 plants! Varieties: Red Hinomaki, Yellow Hinomaki, Invicta, and Poorman. 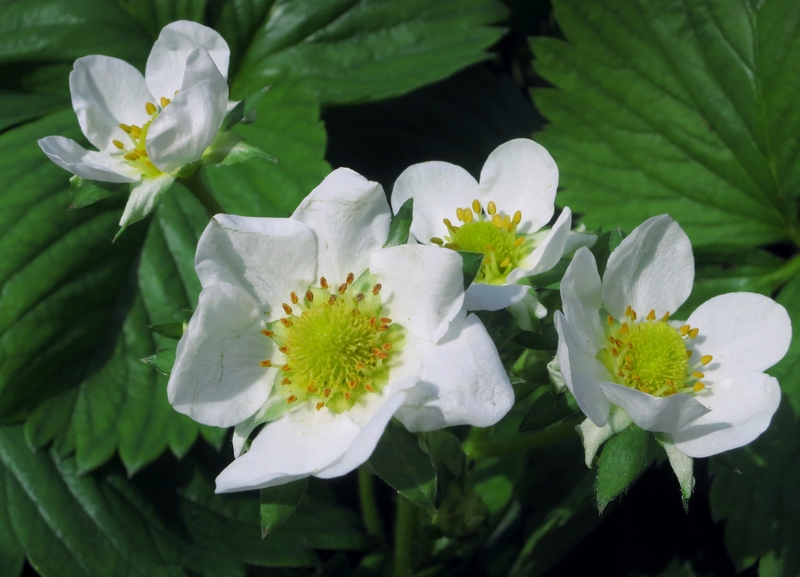 Red and white varieties of alpine strawberries are in most every garden! 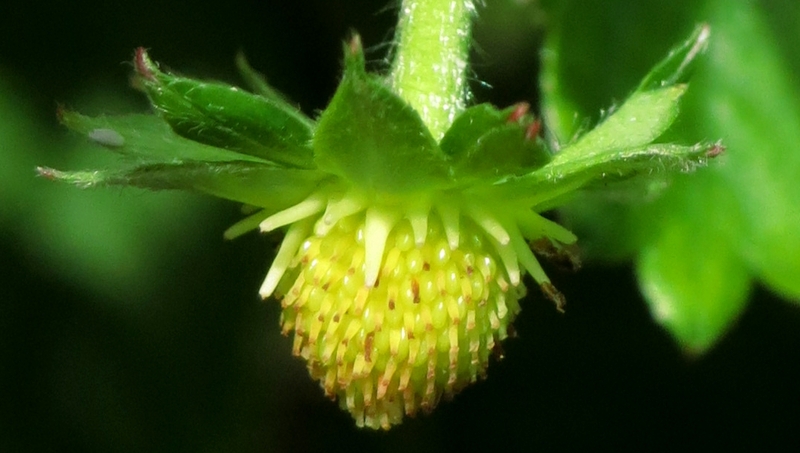 There are wild strawberries fruiting, too! 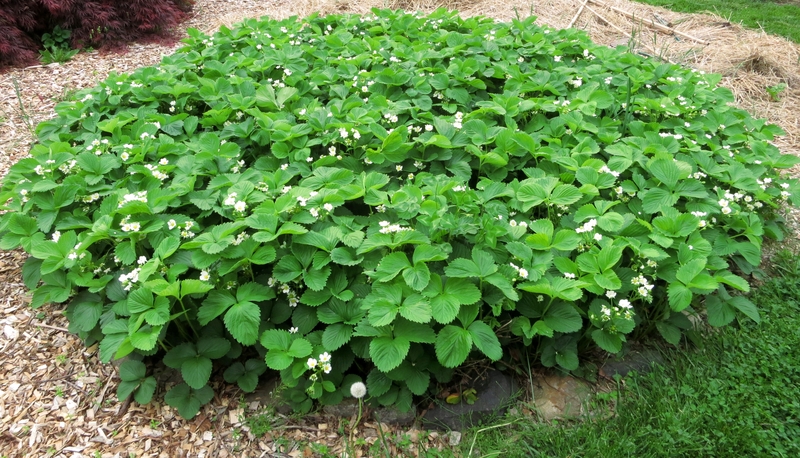 And of course, we are all watching the June-bearing strawberries with anticipation. I think they are loving the long cool spring we are having. They are standing tall and lush and are full of flowers! 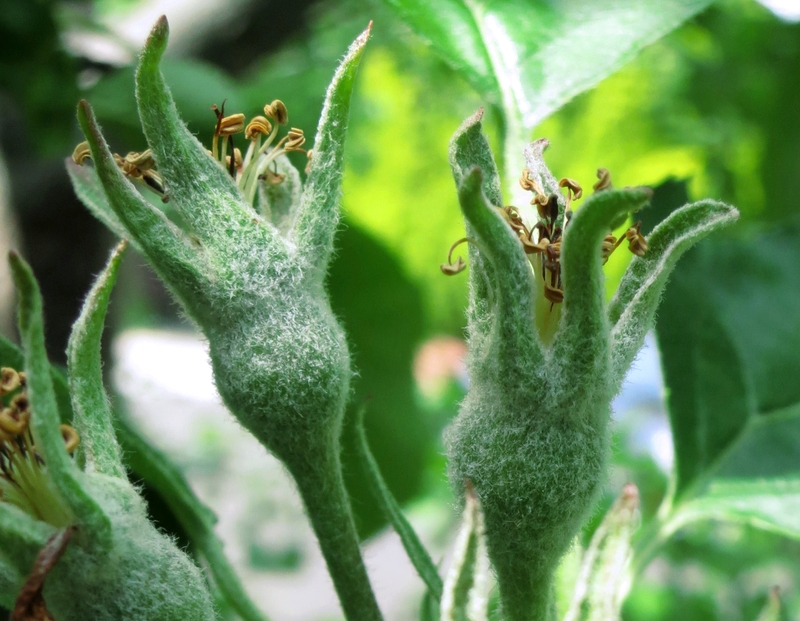 I imagine we’ll have to thin the apples come June to boost quality. I am seeing so many fruit-lets! It appears that the pears are trying to keep up with the apples for quantity this year. I’ve never seen so many tiny pears. 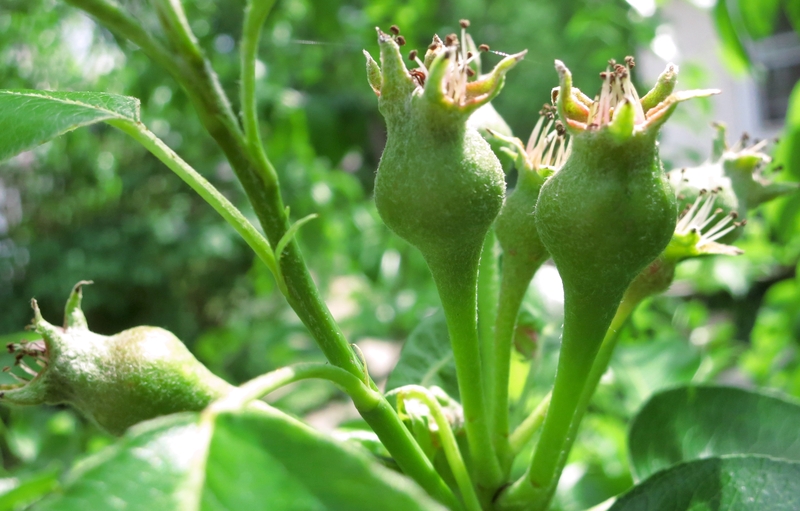 It may have something to do with having introduced the two dwarf pears to the front yard which are acting as pollinators. 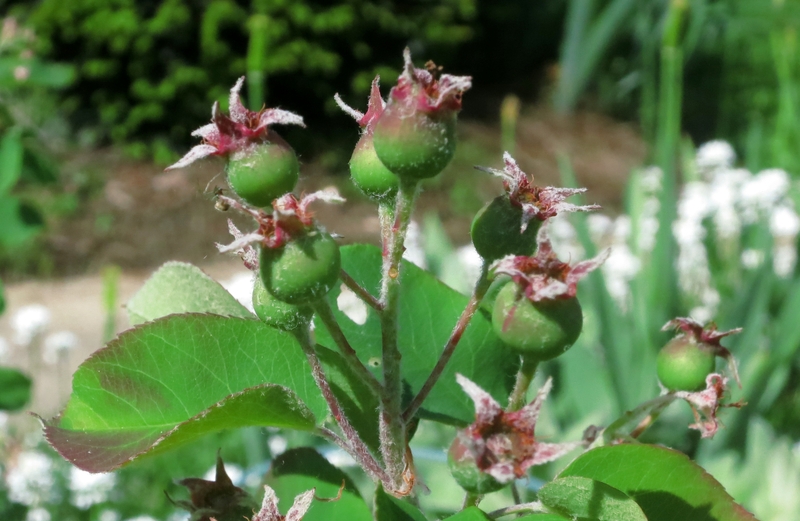 Blueberries from four healthy shrubs! Now, to keep the catbirds from stealing all of them this year! 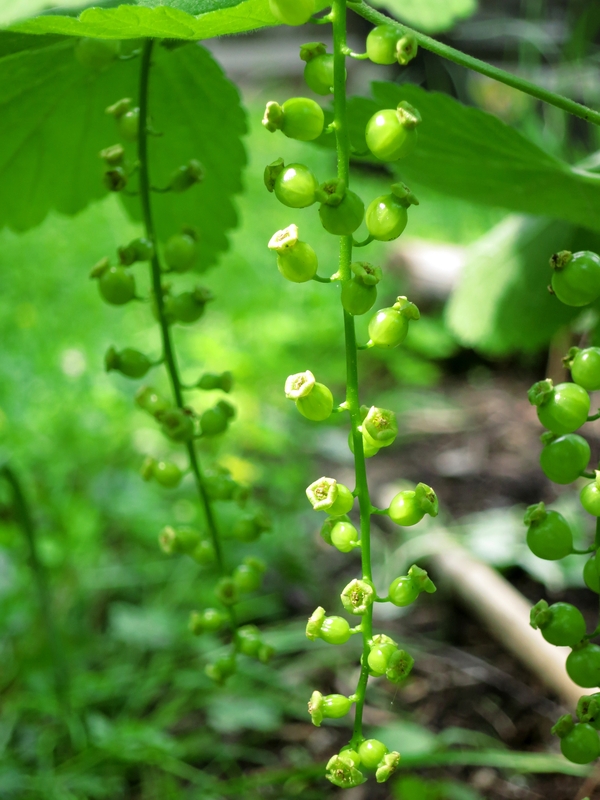 Currants! We have red, black, champagne, and pink. Oh, what a crop we’ll have this year! Juneberries from our Regent Juneberry bush. The birds love ’em! I do, too but, unfortunately, the birds are faster! Don’t forget the blackberries and the raspberries. 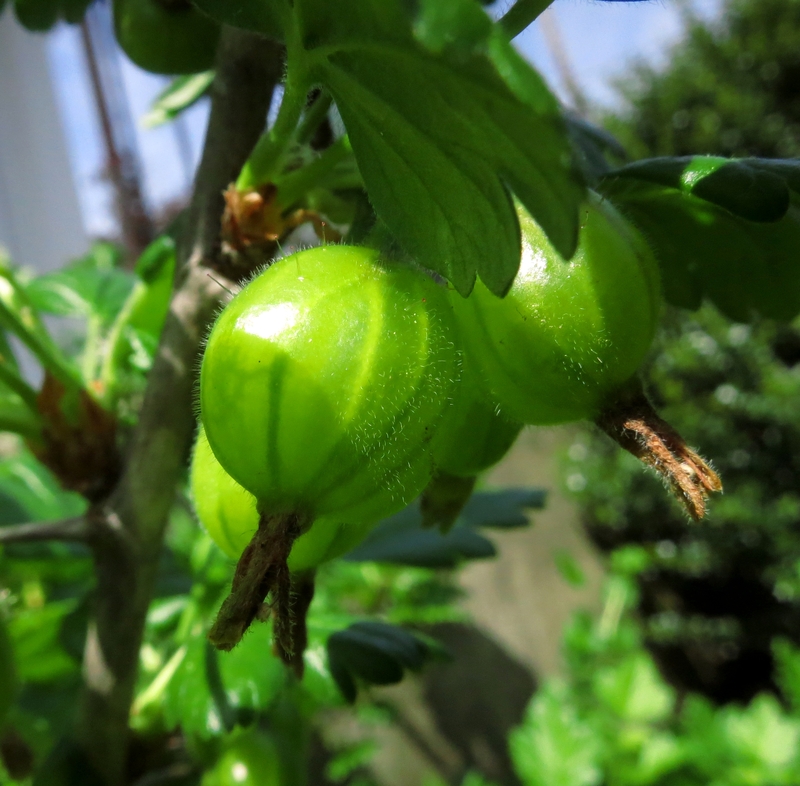 The goumi shrubs and the chokeberries may fruit for the first time this year. The sour cherries and pawpaws and the serviceberry won’t fruit this year but the trees look healthy as can be. We have two new dwarf pears, a Potomac and a Seckel. This is their second spring in the ground. It looks like we might get a few of the small sweet Seckels, already, this year! We, also, have perennial culinary and medicinal herbs and plants to make tea. Lovage, sweet cicely, lemon balm, feverfew, nettles, red clover, mint, anise hyssop, St. John’s Wort, chamomile, New Jersey Tea, and yarrow to name a few. Scorzonera, perennial potato onions, jerusalem artichokes, perennial leeks and Egyptian walking onions will provide food without my having to think about it at all. I have some groundnuts floating around in the blueberry bed. We’ll see if they pop back up this year. I have one sea kale that came back strong this year. 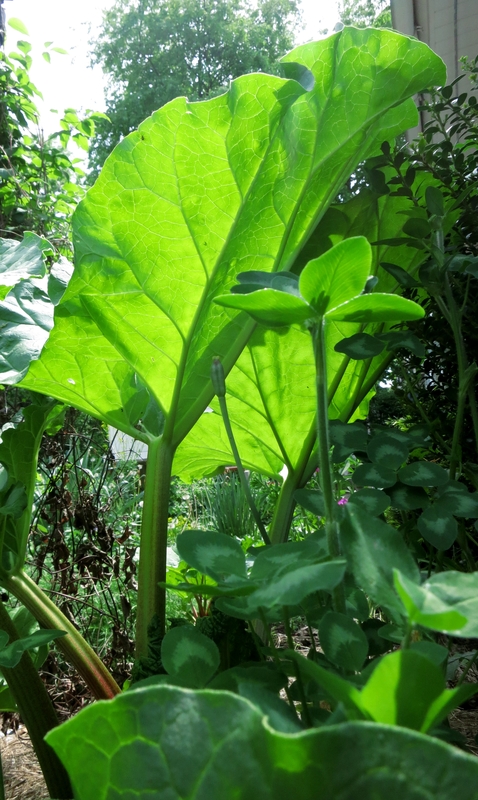 It’s ruffled blue green leaves are gorgeous and it is getting ready to flower. The other one, unfortunately, succumbed to the harlequin beetles last fall. I tucked some alpine strawberries in its place last fall and, just yesterday, another rhubarb. Such wonderful, perennial abundance! 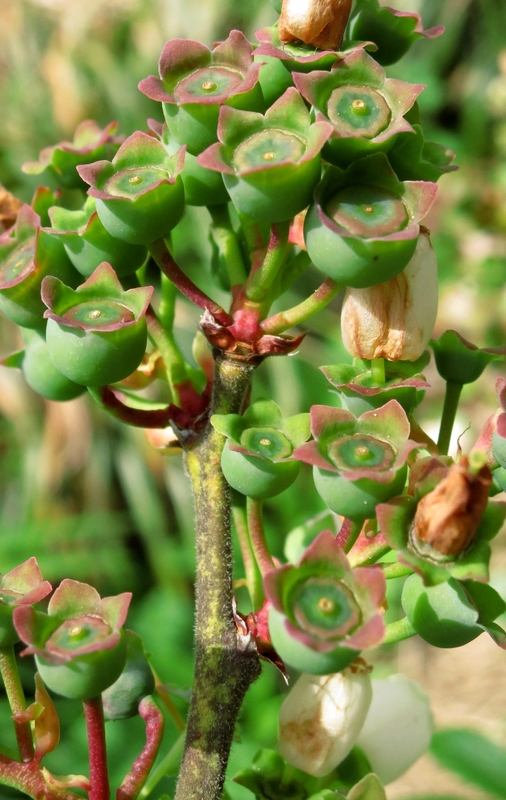 This entry was posted in Edible forest gardening, Edible Landscaping, Food. Bookmark the permalink. Elkins Park resident pushes farming to front yard. Renewable Energy: Learn about the Dragon!